When is the right time to bring in a third-party BIM manager? And what do you need to know to ensure a successful partnership? What constitutes good BIM management? What does it mean to outsource BIM management? When should you bring in outside experts to manage a BIM transition or update processes? How do you maximize benefits of outsourcing and avoid the pitfalls? 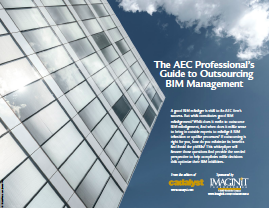 Dig in to learn how to optimize your BIM initiatives.